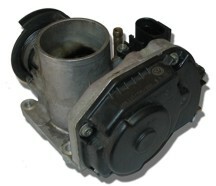 BBA's Range of Throttle Bodies. We do many other throttle bodies. Check our catalog, or call us if you don't see yours. Nissan Micra Throttle Bodies (air mass meters) are now a common failure. The bodies are going out of calibration. This can cause poor drive-ability and poor idling. - in extreme conditions fault brings engine management light on. If in any doubt BBA can arrange a test hire. Please call us for more details. 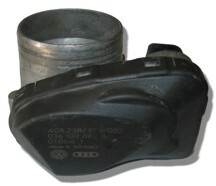 BBA can supply remanufactured throttle body with a two year warranty. Mitsubishi GDi's (also fitted to Volvos) suffering from poor injector spray patterns, cooked cylinder heads and inlets, and eventual failure of throttle body. Causes poor idle or poor acceleration. BBA can supply reman throttle bodies and injectors. 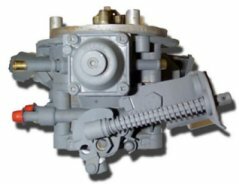 Volvo post 1999 Marelli electronic throttle system(also known as ETS, or throttle body). Symptoms: intermittently really rough idle, no power, car can do 20 mph only. Will correct with key off for a while, but leave engine management light on and re-occurs soon Most Volvo's post 1999 have Marelli throttle actuator. This is bringing the engine management light on and eventually putting car in limp home mode. Ford Fiesta spi engine has problems with potentiometers and injector. (iv) Programming errors in ECU. Later software available. (v) There are 2 idle speeds for the vehicle. One for stationary and one for moving. Moving idle speed may be corrupt. Recommend to check this by starting car, leave gearbox in neutral, and get strong friend to push you. As car gets above 11 mph if idle speed goes crazy, you have isolated problem. If you are looking for a different throttle body then call us!